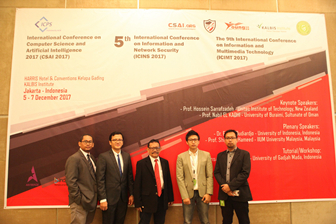 This year, ICINS was held as a workshop of CSAI 2017. 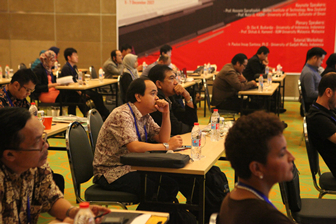 On December 5, the three-day the conference was opened at Jakarta, Indonesia. 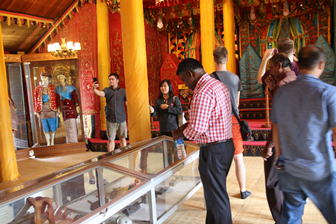 About 50 experts and scholars from 19 countries including China, Oman, Indonesia, Poland, Republic of Korea, Turkey, Algeria, Philippines, Thailand, Japan, Malaysia, India, Czech Republic, United Arab Emirates, Portugal, Fiji, Viet Nam, Ecuador and Lithuania attended the conference. On the morning of December 5, attendees came to the registration venue to sign in and collect the conference materials. 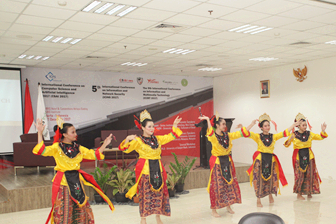 On the afternoon of December 5, after brief welcoming address and opening address by the President of Kalbis Institute, Indonesia and the conference chair Prof. Nabil EL KADHI, students from the Kalbis Institute, Indonesia performed traditional dances and their performance was received with hearty rounds of applause. In the next, Ir. 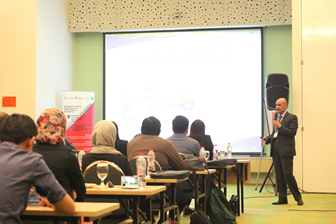 Paulus Insap Santosa from Universitas Gadjah Mada, Indonesia gave a wonderful speech on "Interaction Design for a Mutimedia-Related Environment". 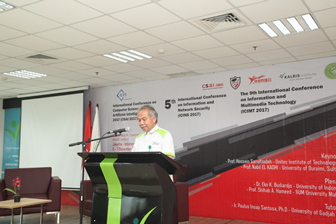 On the morning of December 6, Dr. Hadi Sutopo from the Kalbis Institute, Indonesia delivered an opening speech. 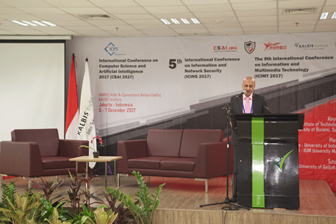 Because unable to attend the conference in person, Prof. Hossein Sarrafzadeh from Unitec Institute of Technology, New Zealand made a video presentation to share his research. 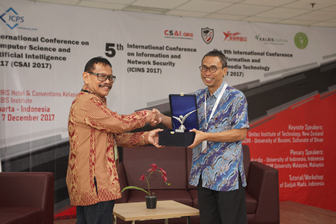 Prof. Nabil EL KADHI from University of Buraimi, Sultunate of Oman and Dr. Eko K. Budiardjo from University of Indonesia, Indonesia separately gave a keynote speech and plenary speech on their respective achievements and experiences. 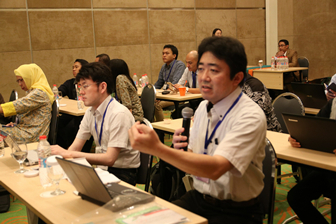 Participants also express their views, enthusiastically asked questions. 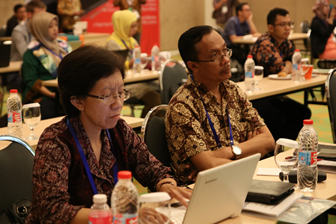 The whole conference is in a dynamic academic atmosphere. 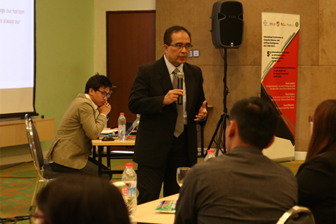 In the afternoon of December 6, the conference was set up with 4 Sessions. 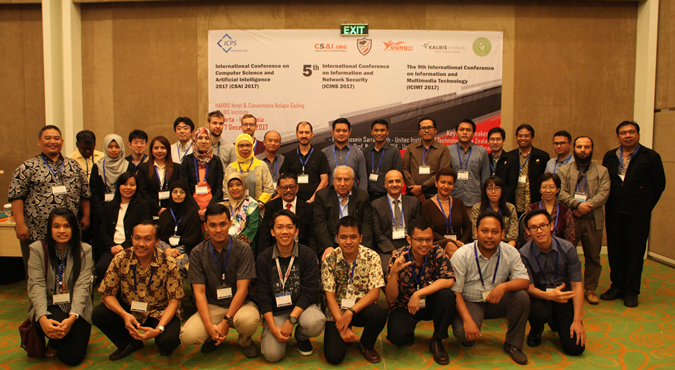 Participants made presentations and discussions over 4 topics, ie Computer Theory and Application, Design and Development of Information System, Computer Network and Communication Engineering and Image Processing and Enhancement Technology. 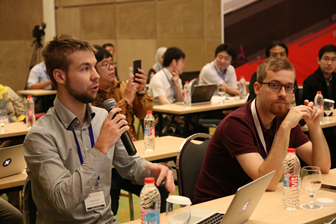 In addition to the core oral presentation in the academic conference, the conference also has poster sessions, which provides more opportunities for experts and scholars to communicate with each other. 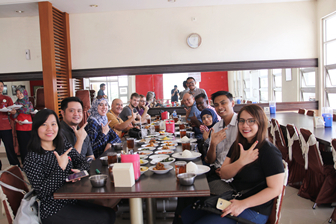 On December 7, 13 participants joined the social program, who had an excursion in the Jakarta city.The program gives the delegates a good overview of the Indonesian culture and history. The conference has come to a successful closing, and delegates had a very good time in the conference. Accepted papers will be included in the conference proceedings, which will be indexed by Ei Compendex and reviewed by Scopus.